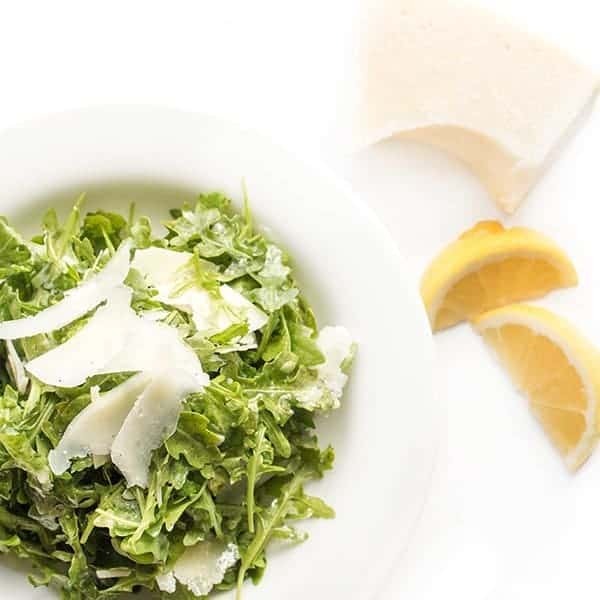 This bright and refreshing arugula salad recipe is made with just five simple ingredients including lemon juice, olive oil and shaved parmesan. As a mother of two young boys ages 3 and 5, one thing I am very passionate about is getting them in the kitchen as much as possible. 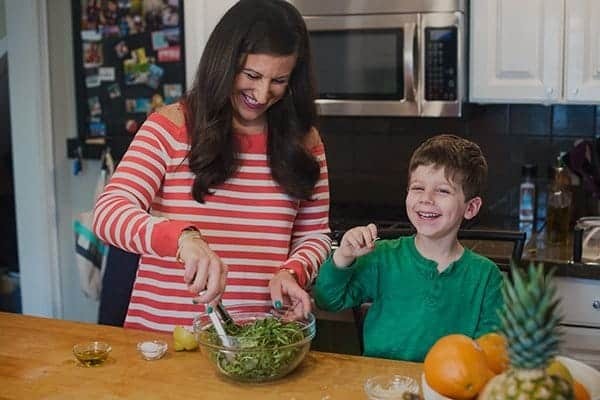 Not only do I believe that encouraging kids to cook will help set the foundation for healthy eating habits but it’s a great way to teach them life skills. Hey, their future wives will thank me, right? One dish my kids love helping me with is putting together a quick salad. 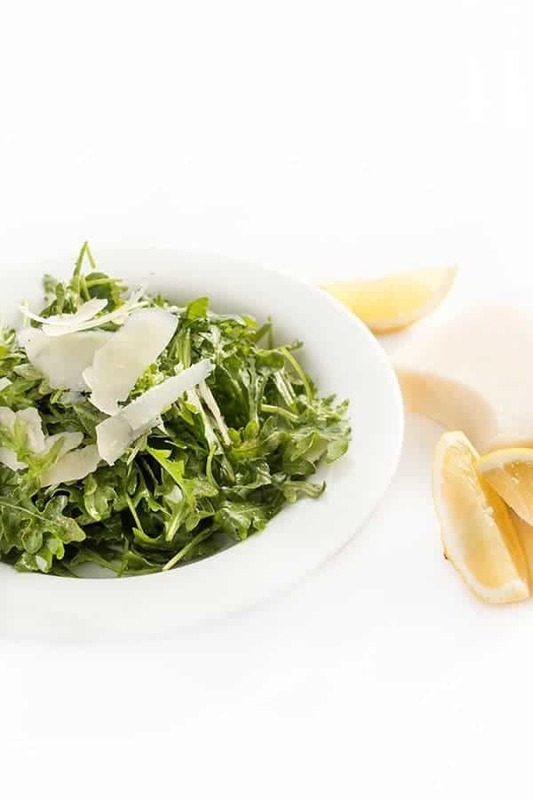 This easy arugula salad recipe is made with just five simple ingredients including olive oil, lemon juice and shaved parmesan. Jacob kept eating the shaved parmesan so I had to use some leftover shredded parmesan I had on hand in the refrigerator. Life with boys, right? 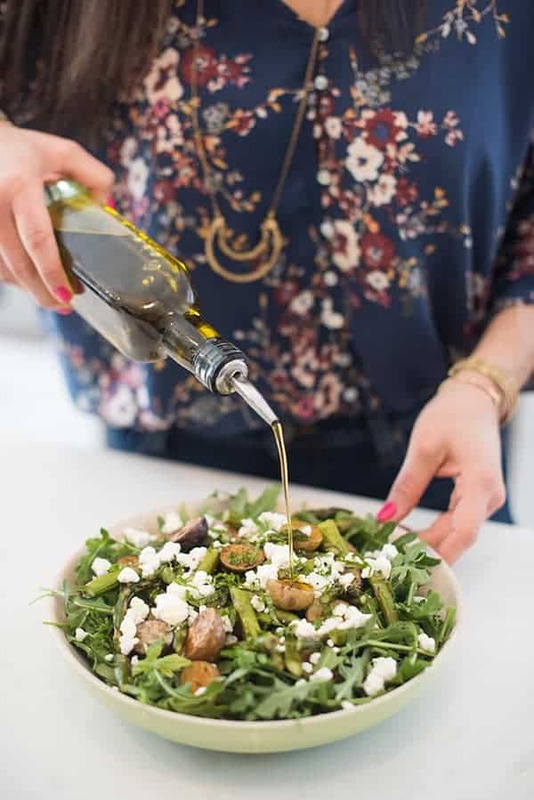 Of course, this salad is delicious on its own but we love serving it with grilled chicken in the summer months or even as a replacement for pasta with heartier dishes like eggplant parmesan. However you decide to serve it, grab the kiddos or enlist help from friends. After all, cooking is always more fun when done with those you love. 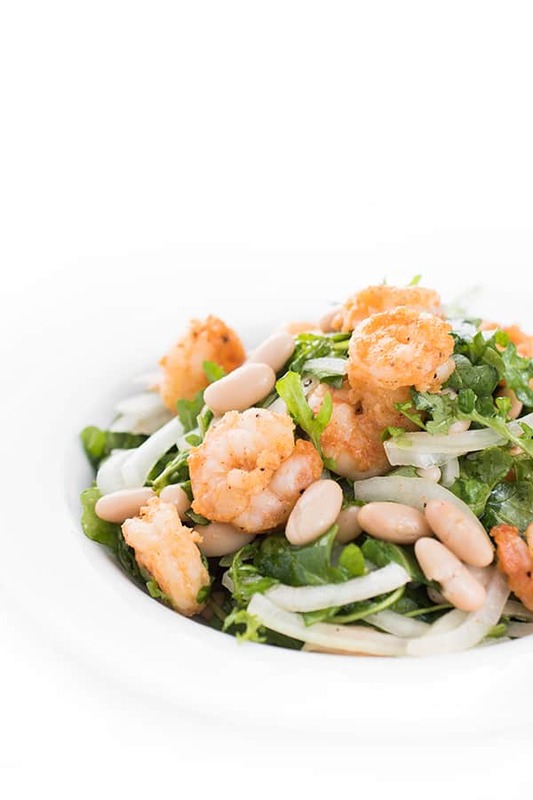 Place all ingredients in a medium bowl and toss until evenly coated in vinaigrette. Season with salt and pepper to taste. Serve immediately to avoid wilting. 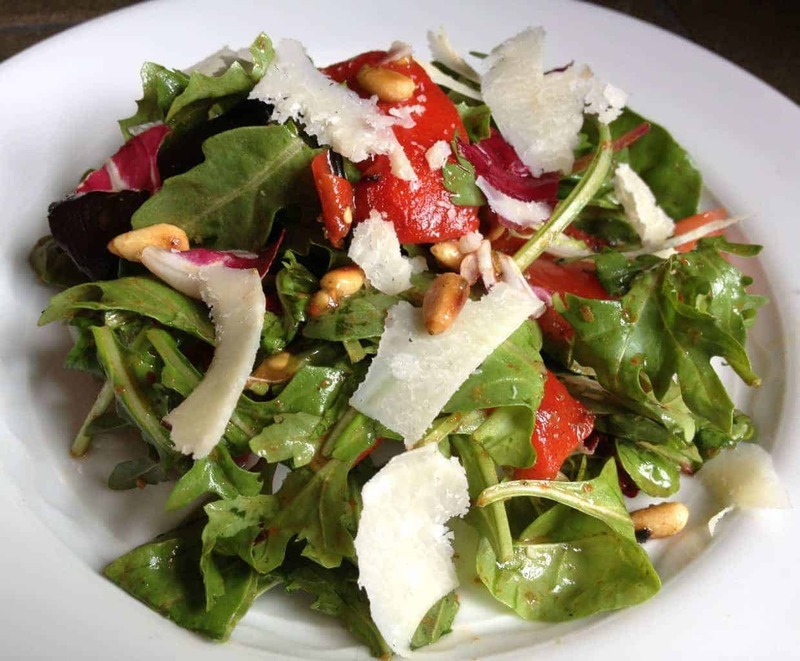 Check out my Pinterest board for more Satisfying Salad Recipes! I’m so happy you enjoyed it Nicole! Can’t wait to try this on top of a pizza crust! Remy LOVES being in the kitchen with me, the only problem is she wants to DO way more than she is currently capable of lol (which is basically just watching). I can’t wait until she can actually help! And I love a good simple salad. Those parmesan shavings are such a salad highlight. I absolutely LOVE the simple truth brand. This salad is calling to me! It’s so good and affordable! hahaha No seriously I LOVE it on pizza!!! It’s so good that way! I could eat this every night!!! P.S. The photos of you two are SO cute!!! I LOVE Kroger and I LOVE this arugula salad! 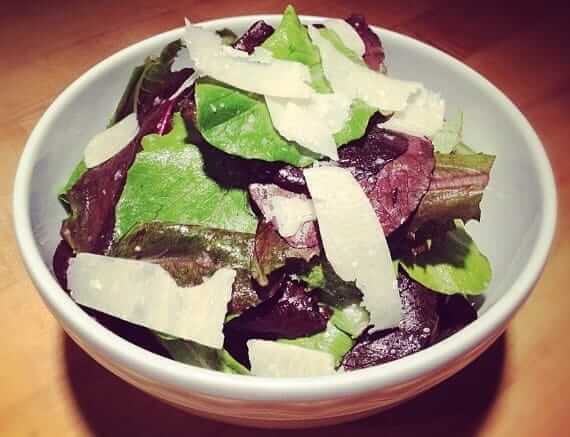 This is one of my favorite salads, Liz. It’s so simple, but so good! I am a sucker for simple!! 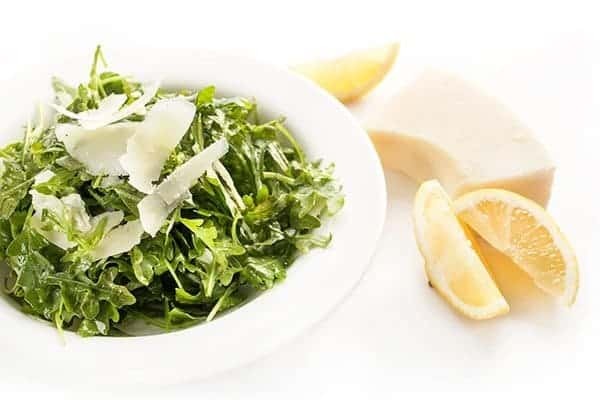 I loooove arugula! 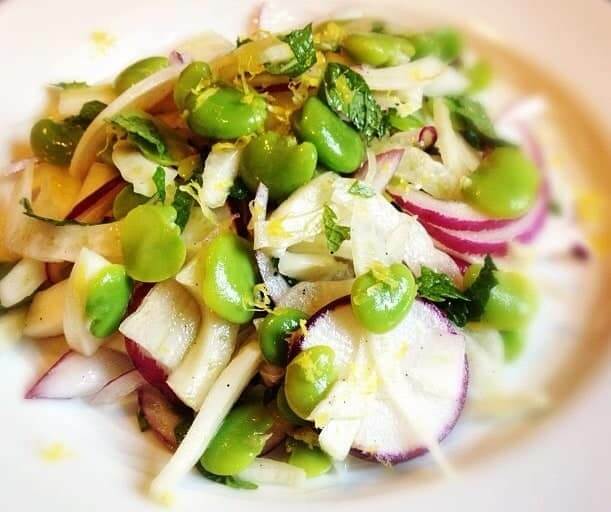 This simple salad could go with ANY meal! 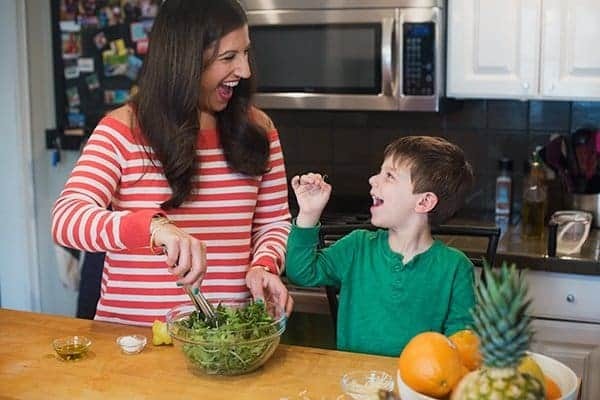 So happy to see you enjoy cooking with kids. That is how we prepare them to be creative and complete! And yes, salad is great !